Creating a shortlist is an essential component of the supplier discovery and selection process. But what, exactly, are supply chain professionals looking for when making their lists? 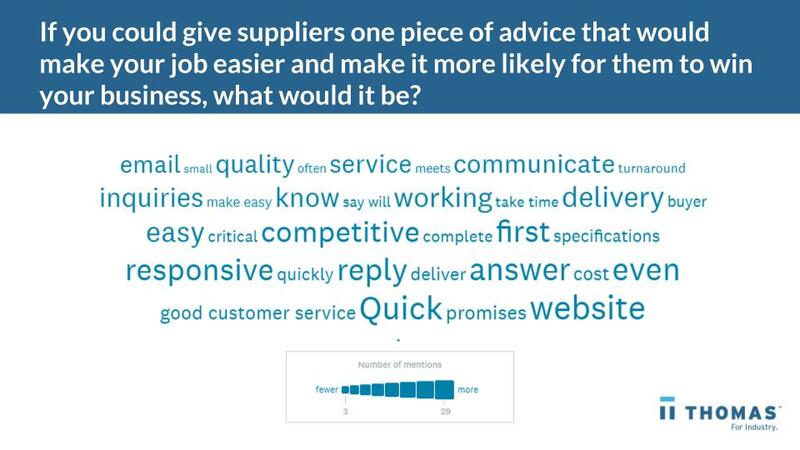 To find out, Thomasnet.com conducted an informal survey of our users – buyers, engineers and procurement professionals – to find out what factors they consider the most important when evaluating new suppliers. 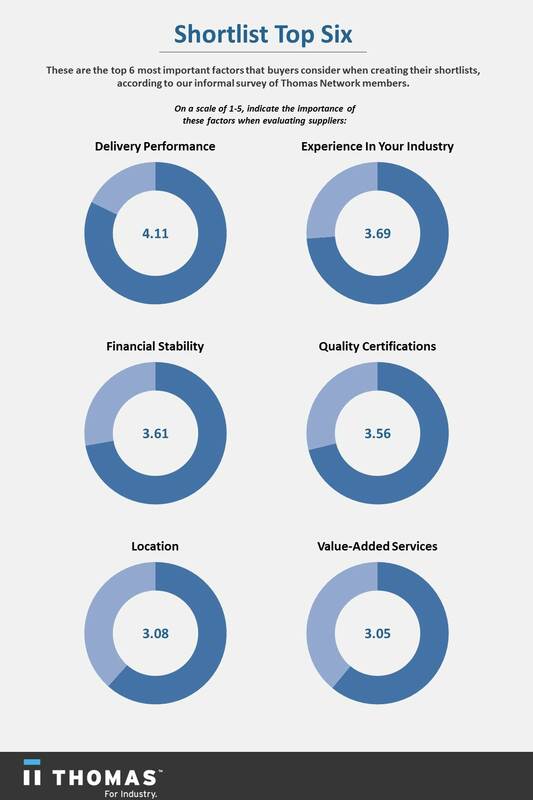 Of the 15 factors we listed on our survey, none were considered more important than delivery performance, which received a weighted score of 4.11 out of 5. In fact, 81 percent of respondents identified delivery performance as being “very important” or “critically important.” In an industry driven by KPIs and SLAs, it’s really no surprise that a strong on-time track record can set a supplier apart. Buyers take a lot of comfort in knowing that a supplier understands their industry, which is why 59 felt that industry experience was "very important" or "critically important" when creating their shortlists. On a scale of 1-5, this factor ranked 3.69. Buyers want to reduce their risks. When evaluating new suppliers, buyers want to reduce their risks by assessing the financial stability of potential partners. That’s why 55 percent of buyers ranked this factor as “very important” or “critically important,” resulting in a weighted score of 3.61 out of 5. Buyers are split on safety.